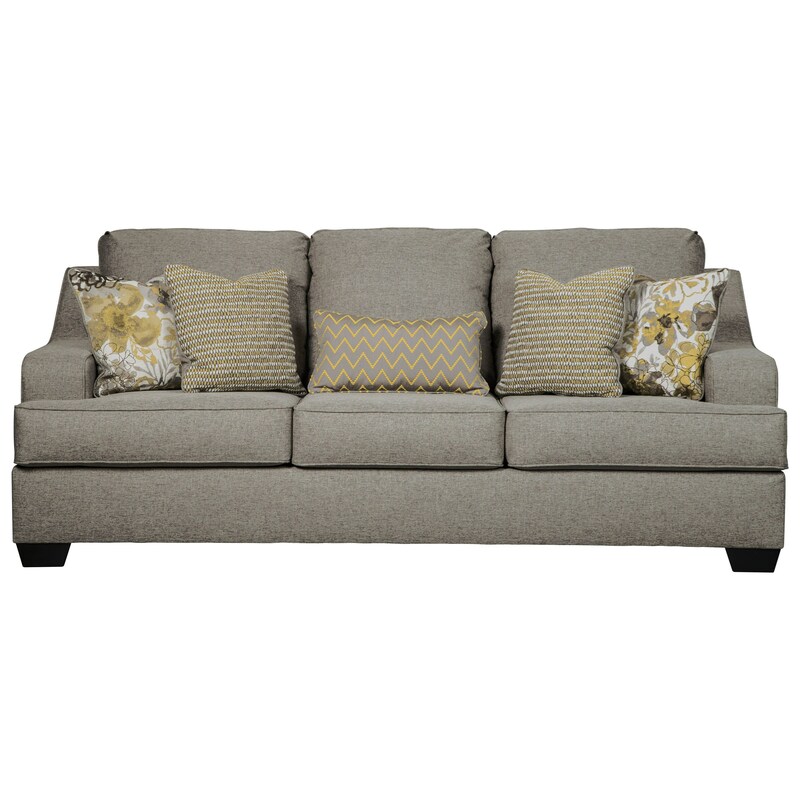 This contemporary sofa will provide you with a smooth and sophisticated look in your home. The arms taper down from the seat back, into a track style; a sure sign of modern design. Bright accent pillows add bursts of color while welt cord trim and tapered legs show off the trendy tailoring of the piece. The Mandee Sofa with Contemporary Style by Benchcraft by Ashley at Royal Furniture in the Memphis, Nashville, Jackson, Birmingham area. Product availability may vary. Contact us for the most current availability on this product. Made by a leading manufacturer in the furniture industry, this collection features a sleek style at an affordable price point. This group has a contemporary design with a neutral body fabric and accent pillows that add bright bursts of color. Choose between the standard sofa and sleeper sofa to create the living room that best suits your lifestyle. The Mandee collection is a great option if you are looking for Contemporary furniture in the Memphis, Nashville, Jackson, Birmingham area. Browse other items in the Mandee collection from Royal Furniture in the Memphis, Nashville, Jackson, Birmingham area.